Pakistan's ties with Saudi Arabia appeared to be under fresh strain on Monday in the wake of revelations from classified documents released by WikiLeaks, which quoted Saudi Arabian King Abdullah calling Pakistan's president Asif Ali Zardari "the greatest obstacle" to the country's progress. "When the head is rotten, it affects the whole body," Abdullah said of Zardari in one of the documents. While Pakistani officials publicly condemned the claim as an attempt to undermine the traditionally close ties between the two countries, western and Arab diplomats warned that the revelations may have finally exposed genuine underlying tensions. Both are prominent Islamic states: Saudi Arabia is the world's largest oil producer and the birthplace of Islam while Pakistan has the distinction of being the world's only Muslim country armed with nuclear weapons. WASHINGTON, Oct. 25 (UPI) -- America's 17 intelligence agencies have spent more than half a trillion dollars -- more than $500,000,000,000 -- since 9/11, most of it on the global war on terror, and the Obama administration still believes that if Taliban supremo Mullah Mohammad Omar Akhund were to return to power in Kabul, al-Qaida would be back too -- "in a heartbeat." And this despite much evidence to the contrary. Recent weeks have produced a number of reports about "negotiations" between some Taliban elements and the Kabul government as well as with U.S. and NATO intermediaries. 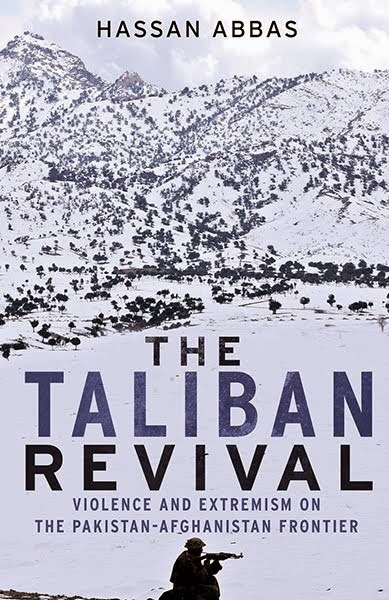 There were contacts but no negotiations and none of the Taliban participants was authorized to speak on behalf of the reclusive and secretive, Mullah Omar, in hiding since the U.S. invasion collapsed his regime in October 2001. WikiLeaks is in the process of dramatically transforming foreign affairs and international relations. It is revealing over 250,000 cables from US embassies worldwide to the State department and other classified documents. The consequences of this 'mega-scoop' will be very far reaching indeed. For the United States the issues are both strategic as well as ethical. On a strategic level the leaks -- which expose frank assessment of foreign leaders by senior American officials and American thinking on many critical issues -- will complicate Obama administration's ability to deal with its allies and may increase global cynicism about US intentions. The death sentence handed down on Aasia Bibi over allegations of blasphemy has brought shame to Pakistan and been roundly condemned worldwide. It has also distorted the teachings of Islam. Punjab governor Salmaan Taseer, despite his murky track record in politics, did the right thing for once by visiting the hapless woman and holding out the promise of a presidential pardon. This prompted obscurantist clerics to stage demonstrations in several cities of the province. On Nov 24 the Alami Jamaat-e-Ahl-e-Sunnat issued a fatwa (decree) which declared him an apostate. Last month, these nineteen former foreign ministers met in Madrid to conduct a far-reaching assessment of the relationship between the West and the "Muslim World." This post reflects their conclusions. ISLAMABAD - In a major policy shift, Pakistan is likely to say 'NO' to the US over its CIA-operated drone strikes in North Waziristan Agency, thus bringing an end to the policy of former military ruler General (Retd) Pervez Musharraf. Well-placed sources told The Nation on Wednesday that Islamabad has decided in principle to convey Washington that it does not desire unabated drone strikes, and would rather like to tackle terrorism related challenges on its own. When approached, the US Embassy spokesman expressed his ignorance about these developments. However, the government and military sources were of the firm opinion that the US drone strikes had aggravated the problem. 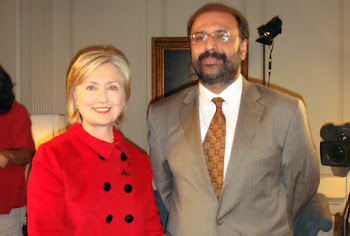 Pakistan Bombshell or America Bombshell? Some can't wait to get out of Afghanistan and some can't wait to see us leave. NATO allies now want out ASAP. Some have already left (Dutch troops), others are preparing to leave (Canadians) and soon the allied fighting force will be reduced to 100,000 Americans and 9,000 Brits. And Afghan President Hamid Karzai now wants the United States to reduce its military footprint countrywide -- just as U.S. commander Army Gen. David H. Petraeus seeks to widen it -- and begin negotiations with Taliban. When NATO allies volunteered military units to assist the United States in rooting out al-Qaida's infrastructure in Afghanistan after 9/11, they figured they'd be home in a few months. Had their governments known that their troops would be in Afghanistan for a decade, they would have stayed home. New US Blueprint for Afghanistan ? “If media reports (or leaks) are to be believed, then the Obama administration is all set to tweak its policy towards Afghanistan and unveil a plan to end U.S. combat operations by 2014. This fine-tuning was in the cards, though the earlier plan to start drawing down U.S. forces from July 2011 remains in place. Apparently, the drawing down process will be slowed. It is in fact realistic and pragmatic to pursue this approach, because the Afghan military and police will get more time to take up their responsibilities and settle down. Moderate elements among Afghan insurgents may also feel the pressure to come to the negotiating table. WASHINGTON: Pakistan’s former military ruler Pervez Musharraf has very little chance of regaining power in 2013 elections and any return to military rule would be a disaster, a senior US official said on Wednesday. “He has about as much chance of coming back to power as (former Soviet) President (Mikhail) Gorbachev,” Richard Holbrooke told a gathering of US diplomats and security experts. Musharraf, who came to power in 1999 in a bloodless military coup, announced last month in London he had created a new party, the All Pakistan Muslim League, with an eye to competing in the 2013 polls. Musharraf, who has lived in self-imposed exile since he stepped down under threat of impeachment in 2008, has said he believes he has “an even chance” of regaining power. Shujaat Bukhari, The Hindu, Nov 15, 2010. Advocating a role for Pakistan in finding an amicable solution to the Kashmir problem, academician Radha Kumar, one of the three interlocutors on Kashmir, on Sunday stressed the need for working towards credibility of the dialogue process. Before winding up the second visit to Kashmir and Ladakh, Professor Kumar told journalists that dialogue was important to arrive at a consensus, though there were varied perceptions in Ladakh and Kashmir. Emphasising that Pakistan's role could not be wished away, she said it was a “necessity” to engage Pakistan in finding a permanent solution to the problem. Barack Obama this week gave one of the most powerful and convincing speeches of his presidency, rising above the morass of policy minutiae to connect with people's emotions. Too bad he gave the speech in Indonesia. Obama spoke on religious and ethnic tolerance in the world's most populous Muslim-majority country. Coincidentally, the speech was delivered a week after the normally sensible residents of Oklahoma gratuitously attacked Muslims by voting to ban sharia, or Muslim religious law. They did so even though no one in this country was trying to introduce it and no Oklahoma court is known to have cited it. 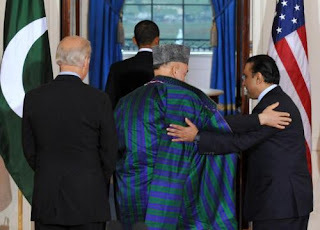 A WEEK before he was elected in 2008, President Obama said that solving the dispute over Kashmir’s struggle for self-determination — which has led to three wars between India and Pakistan since 1947 — would be among his “critical tasks.” His remarks were greeted with consternation in India, and he has said almost nothing about Kashmir since then. But on Monday, during his visit here, he pleased his hosts immensely by saying the United States would not intervene in Kashmir and announcing his support for India’s seat on the United Nations Security Council. While he spoke eloquently about threats of terrorism, he kept quiet about human rights abuses in Kashmir. On October 30, The Indus Entrepreneurs or TIE held a national conference on entrepreneurship whose theme was “Unleashing Change”. Without a generation of innovators and entrepreneurs, job creation in Pakistan will stay dormant, while our population and its appetite for consumption goes through the roof. 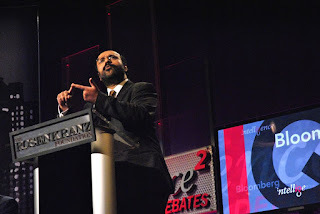 TIECON 2010, as the conference was branded was a great success. It brought together many experienced entrepreneurs to share their experiences with aspiring tycoons. The issue of entrepreneurship and the value it adds to the economy, to society and to politics needs greater attention than it gets, and organiser Moonis Rehman did very well in bringing it to light through TIECON 2010. Abdi, Abbas (1956- ) A leading journalist and political analyst. He was one of the students who took over the American embassy on November 4, 1979. In 1999, he took part in a debate with one of the former hostages at UNESCO headquarters in Paris. An engineer by training, he served after the revolution in the intelligence agencies, the judiciary, and the Center for Strategic Studies, which is affiliated with the Office of the President. He was imprisoned for eight months in 1993 for writing critical columns in the Salam newspaper and later served a three-year jail term (2002-2005) for conducting a poll on behalf of Gallup that showed more than 74 percent of Iranians were interested in rapprochement with the United States. Muslim scholars who claimed that Islam specifically and religion generally are based on love were not simply talking through their hats, as many readers of my previous post seem to think. They offered plenty of evidence. In order to see its logic, however, we need to remember the two axioms upon which all Islamic thought is built: the reality of God and the messengerhood of Muhammad. The first axiom does not depend on the Quran. It needs to be accepted before there is any reason to consider Muhammad and the message. If God is not real, then God's "messages" will be even less real. This first axiom states that there is only one true reality. Everything else -- the universe and all it contains -- derives from it. What we call "realities" are in fact non-realities dressed up in fancy clothes. MUMBAI, India — As President Obama pays his first visit to India this weekend, he may want to take his lead from Mary Kay. Since Mr. Obama took office two years ago, America’s top economic policy makers have visited India numerous times but left with little to show for their long flights. This time, too, officials on both sides have tried to temper expectations, given the geopolitical and trade tensions between the two nations. But, even without a big policy push from Washington, companies from both countries have already been forging deals at a fast and furious pace. Declarations of solidarity and the $2 billion in promised military aid received by a high-level Pakistani delegation in Washington last week belie the hardening of U.S. attitudes toward Islamabad. A White House report to Congress in early October accused the Pakistani army of avoiding "military engagements that would put it in direct conflict with Afghan Taliban or al-Qaeda's forces," suggesting this inaction was a "political choice." Mounting exasperation within the Administration at the failure of Pakistan to do its designated part in the U.S. war in Afghanistan is prompting calls in Washington to take a much tougher line with Islamabad. But rather than produce a more pliant Pakistan, an escalation of U.S. pressure could prompt Islamabad to strengthen its ties with a more forgiving ally, China. Editor’s Note: A wide array of civil society activists from different fields and different persuasion have released the following statement on the recent harassment of former Information Secretary of the PPP and former Federal Minister of Information, Sherry Rahman. ATP joins in the sentiment and spirit of the statement. The world has been slow to react to the enormity of the floods in Pakistan.Pakistan urgently needs the world to stand with her during this grave humanitarian crisis. Acumen Fund is sharing our perspective from the ground. We urge you to raise your voice in support for Pakistan by adding to the tapestry and highlighting other ways to help.